Abstract: Although the impact of patents on society is debatable, they can have negative impact on the blockchain space. Opening patents up is potentially crucial to the blockchain industry. Unfortunately, however, technology innovators may need to obtain patent protection for defensive purposes. A defensive patent licence (DPL) may be able to protect the ecosystem from the harmful restrictions of patents or mitigate some of the risks. We explain some potential deficiencies and loopholes in the current DPL and take a look at a new, improved licence, a blockchain DPL (BDPL). 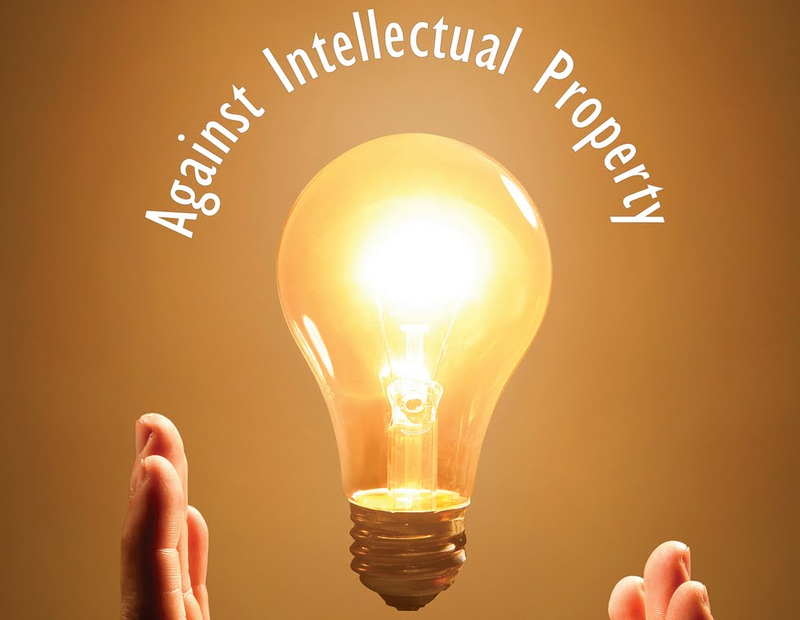 A patent is a property right in inventions, that is, in devices or processes that perform a “useful” function. A new or improved mousetrap is an example of a type of device which may be patented. A patent effectively grants the inventor a limited monopoly on the manufacture, use, or sale of the invention. However, a patent actually only grants to the patentee the right to exclude (i.e., to prevent others from practicing the patented invention); it does not actually grant to the patentee the right to use the patented invention. Not every innovation or discovery is patentable. The U.S. Supreme Court has, for example, identified three categories of subject matter that are unpatentable, namely “laws of nature, natural phenomena, and abstract ideas.” Reducing abstract ideas to some type of “practical application,” i.e., “a useful, concrete and tangible result,” is patentable, however. Copyright, on the other hand, covers original works such as books, articles, movies, and computer programs. When it comes to the IP of blockchains or other technologies, patents seem to be more relevant than copyright, which applies more to works of art. A key feature of blockchains is their permission-less architecture, in which nobody has the ability to censor usage of the system (a.k.a. censorship resistance). If one patents a use or function in a blockchain-based system (such as a new transaction format), the patent holder and legal authorities may be unable to prevent its usage by others, potentially making patents unsuitable or unenforceable. A patent on a cryptocurrency mining technology could give the patent holder a competitive advantage over other miners. This could undermine the whole point of mining, which requires a degree of competition in order to be useful. If a miner or mining coalition achieves a significant proportion of the hashrate, they could censor some or all of the transactions, or even attempt to reverse transactions, potentially rendering the blockchain useless. Therefore, although the efficacy of patents is debatable in general, many consider them negative with respect to blockchains and desire to avoid the usage of enforceable patents in the blockchain space altogether. Achieving this preferred outcome is not simple; it’s not sufficient for those who develop technology in this space simply to avoid patents. This approach would be vulnerable to so-called patent trolls who could patent these technologies at a later date and possibly hold hostage those blockchain businesses and users who use the patented technology. A form of protection against patent trolls is required. One such tool to prevent or mitigate the risks of patent trolls is the DPL. Companies already using this include the Internet Archive and Blockstream. By signing the DPL, these companies essentially allow any company or individual to use all of their patented technologies for free, as long as they also join the DPL. In order to join the DPL, one must commit to put all one’s respective patents inside the DPL and to not make an infringing patent claim against any DPL member. This effectively forms a club, which anyone may join, whose members need not worry about using the patents owned by any other member. The use of DPLs is purely defensive, and the more entities that join the DPL, the better it is for the blockchain community. We have spoken to some patent holders in the ecosystem as well as legal experts, and some have identified potential deficiencies within the DPL. The DPL is a first-draft attempt at this scheme and many seem to acknowledge that there is significant scope for improvement. The DPL mentions the licence can be revoked if a member transfers a patent to a separate, non-DPL entity that does not abide by the terms of the DPL. However, this restriction only applies once member has joined the DPL. It is possible, in theory, for an entity to transfer patents to an associated company before joining the DPL. In this scenario, the new DPL member who transferred the patent could collude with the company who received it to engage in aggressive patent claims against other DPL members, while still being free to use other patents in the DPL. Although the DPL prevents members from enforcing their patents among other members, it does not prevent third parties from enforcing patents. A third party may restrict some DPL members from using a patent while licensing that same patent to other DPL members. If this occurs, as in the figure below, any DPL members obtaining the rights to use the patent could have an advantage over other DPL members, which is exactly what the DPL was set up to prevent. A proposed blockchain-specific DPL scheme, the BDPL, aims to improve on the DPL with amendments and additional terms that hope to correct the loopholes identified above. The BDPL still retains the core defensive properties of the original DPL, granting a licence to all members who join the BDPL. This first loophole is fixed with an amendment to one of the terms in the licence. The original DPL merely prevents a member from making any non-defensive patent claim against another member. The new terms also prevent a member, “whether individually or in collusion with each other or with any other person”, from making a non-defensive claim. This stricter requirement may make the type of collusion mentioned above more difficult. The second loophole is fixed by adding a new term to the licence. This is a requirement that specifies that the licence will be revoked if members use any patent licensed by a third party, when such a licence “is or is likely to be” enforced and restricted from use by another BDPL member. This should prevent a scenario such as the one illustrated above. In our view, this new BDPL offers an improved, more robust alternative to the existing system. However, it is more onerous in some respects than the old scheme — for example, there are stricter requirements about making public notices. 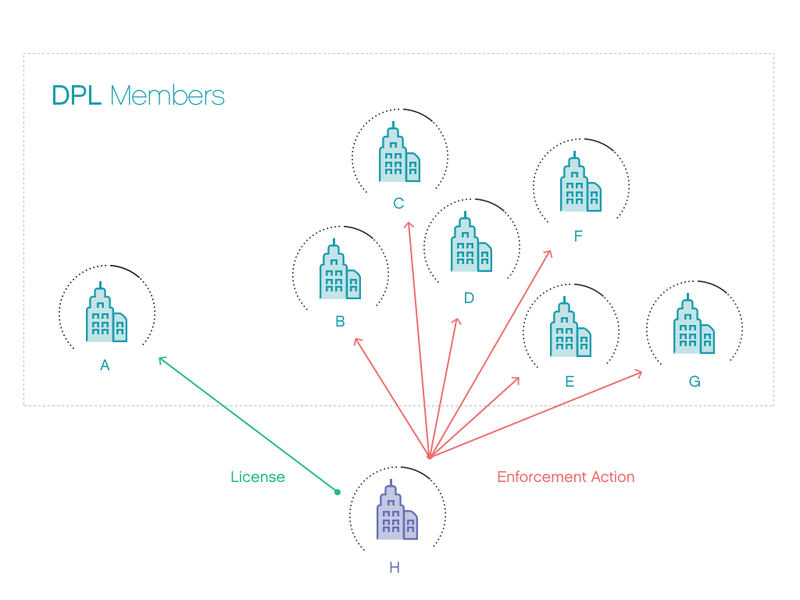 In addition, closing the circumvention loopholes requires a tradeoff: a BDPL member could be caught between a rock and a hard place if it licenses a crucial technology from a non-BDLP member who then begins enforcement action against other BDLP members without the knowledge of the licensee. Fixing this problem within the licence may not be possible, although mitigating this risk could be possible with additional licensing terms preventing aggressive action against other BDPL members. Providing patent owners with more choices can only be beneficial and this new licence is a positive addition to the blockchain space. This scheme may be more robust and therefore more attractive to patent holders, while maintaining the defensive nature that can protect the ecosystem from the harmful effects of patents. We have spoken to patent owners who have indicated that they may prefer the BDPL to older schemes. While it would be beneficial were such defensive schemes to become popular, it is difficult to predict which, if any, will succeed. We think the BDPL is both a significant improvement and more likely to be adopted than the DPL. If adopted, the BDPL could substantially benefit the ecosystem, mitigating one of the risks silently looming over the blockchain space.